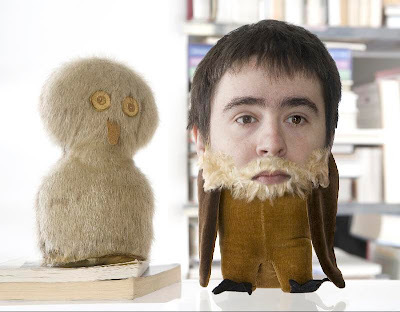 The long awaited second album from British duo The Boy Least Likely To will finally be released on March 3rd. 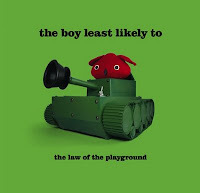 Entitled The Law of the Playground, the release is filled with track after track of charming pop songs. They just released the video for "A Balloon on a Broken String". Based on this, the album is going to be another keeper. 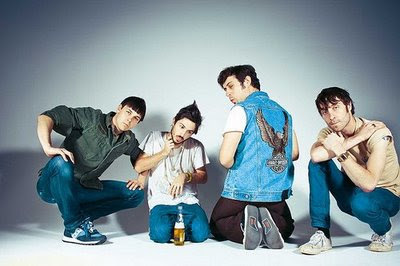 Earlier this week, Black Lips posted the video for "Short Fuse" off their latest album 200 Million Thousand! Animation by Chris Taylor. Directed by Joe Bradley. Enjoy! 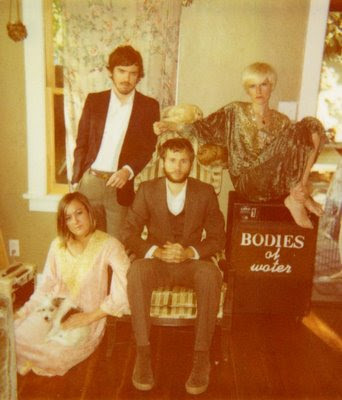 It is nearly impossible to describe in any meaningful context the triumphant sounds produced by California band Bodies of Water. Part rock opera, part gospel, part Age of Aquarius, the music is theatrical and over the top in all of the best possible ways. Perhaps Pitchfork’s description of them as “Jesus Christ Superstars” is the most accurate three word summary available. 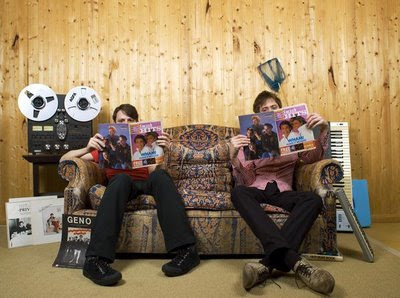 Husband and wife team of David & Meredith Metcalf have created the some of the most provocative, rousing tunes that come as a very welcome, very brilliant departure from standard indie rock fare. 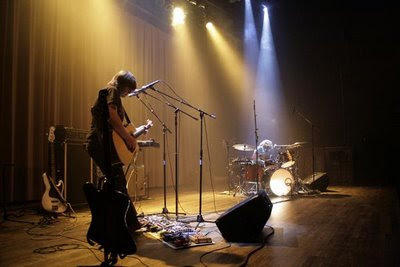 Depending on the venue, day, and time of year, their live show can be comprised of anywhere from two to eleven band members. 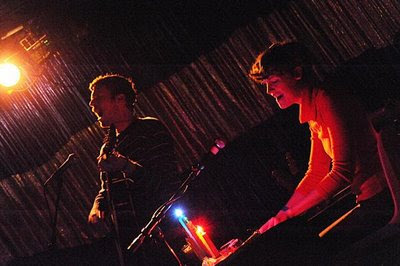 Sometimes it’s just David and Meredith performing. 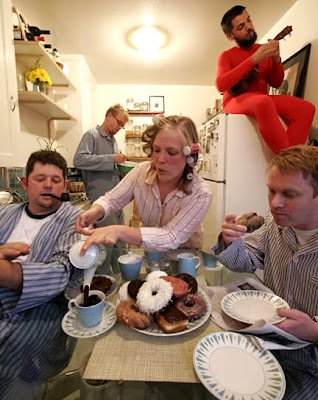 Other times, it’s a small orchestra of musicians and vocalists furiously belting out the songs.The group has taken to touring around the country in a used RV, parking to sleep when they see fit and rocking the asses off every audience they meet. We caught up to David & Meredith during some of their down time and begged them to answer some of our exceedingly silly questions. David: It was a compilation tape of 50's music from the radio station K-Earth 101 that they were selling at the Pantry, which is the grocery store that used to be down the street from our house in Fullerton. The Platters, Jan & Dean, the Big Bopper, Dodie Stevens, etc. The Pantry became Vons a little while later, and now it is a Persian market. Viva: Your sound can sometimes be reminiscent of 70s and early 80s rock operas! What is your favorite movie musical extravaganza from that time period? Meredith: We off-roaded into a wooded area to unload the black water from our RV, thinking it was pretty harmless. We had never emptied it before. It was disgusting. We opened up the valve and let it drain into the dirt. We weren't on any kind of incline, so it just swirled around, and we had to hop out of the way. You would think that since it is mostly sink water and urine, it wouldn't be that bad, but it was unspeakably vile. David: After eating at a Burger King in Wisconsin or someplace, Jamie told us that when he was 10 years old, he was served a bad hamburger and he vowed to never eat at Burger King again. He had kept his vow up until that very night. I don't know how much exhaustion factored into his decision, but it was a sobering moment. This was not a fight as much as an internal conflict (which was peacefully resolved). Download Gold Tan Peach & Grey MP3! Jimmy Tamborello may be best known for his masterful programming as part of The Postal Service. 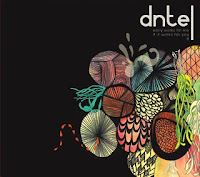 However, he has been (not so) quietly been releasing albums as Dntel for well over a decade. On April 14th, he will be releasing a 3 disk set which includes remastered versions of his first two albums EarlyWorks For Me If It Works For You and Something Always Goes Wrong along with a disk of unreleased materials that was recorded before his third album Life is Full of Possibilites. Check out "Loneliness is Having No One To Miss." If you are a big fan of electronic music, this is a must have. 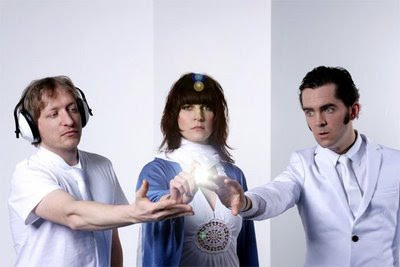 For the last two winters, Kindercore founder Dan Geller and his band of electro-pop geniuses known as Ruby Isle put out an amazing weekly cover song series known as Ruby Isle vs. Elbo.ws. 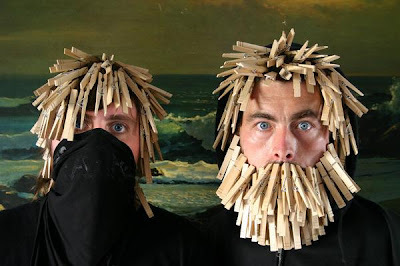 It started in winter of 2008 when they had the brilliant idea to cover whatever song was at the top of the Hot List on the well known blog aggregation site Elbo.ws . This year, they are back at it. This year's crop includes six amazing cover songs accompanied by six amazing videos. Their victims? Fleet Foxes, Bon Iver, The Decemberists, Animal Collective, Black Lips, & The Thermals. Ruby Isle has graciously allowed us to post all six videos and all six mp3s! Enjoy! The Broken West - Perfect Game Video Debut + Spring Tour Dates! Merge Records artists The Broken West debuted their new video Perfect Game this week. 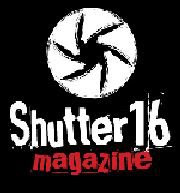 It's an homage to Mad Magazine's Spy vs. Spy directed by Neil Mahoney of showfriendz.com. In addition, they are kicking off their big spring tour that will take them from San Diego, CA to Cambridge, MA and everywhere in between. 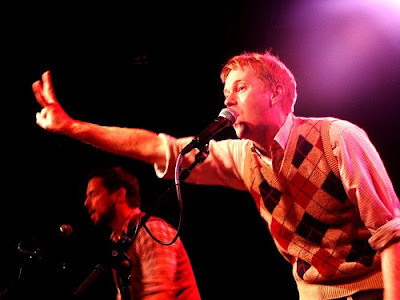 They will be sharing the stage with the likes of French Kicks, AC Newman, and Clem Snide. 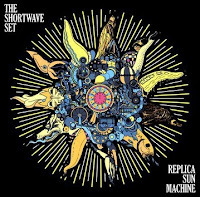 On March 26th, The Shortwave Set's Replica Sun Machine is finally getting its US Release! The self-financed Replica Sun Machine is full of charming, inventive pop songs. 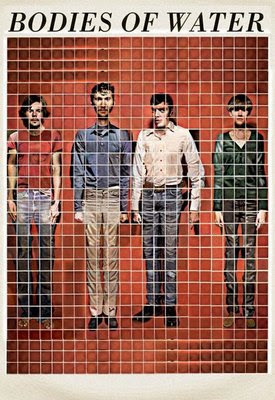 They brought themselves all the way out to California to record and collaborate with the likes of Danger Mouse, Van Dyke Parks, and even John Cale! The results are brilliant. If you do not derive some enjoyment from this record, you clearly either audit taxes for the IRS or have to clean port-a-johns for a living. 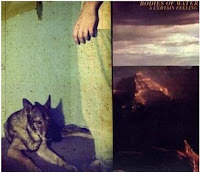 Check out the songs "Harmonia" and "No Social." Also, since this album was out in Europe last year, there are already some fantastic videos available. Take a look! 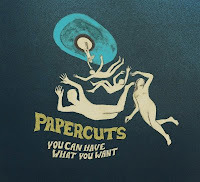 Though the album doesn't come out until April 14th, 2009, Papercuts have kindly given us a preview track from You Can Have What You Want. 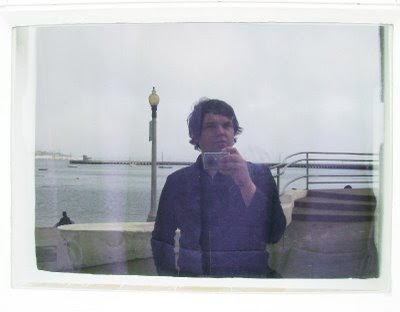 Jason Quever has been hailed as the west coast melancholy pop messiah! 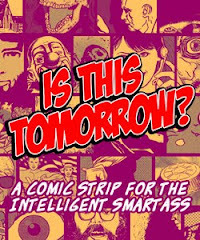 Take a listen to the preview track "Future Primative." 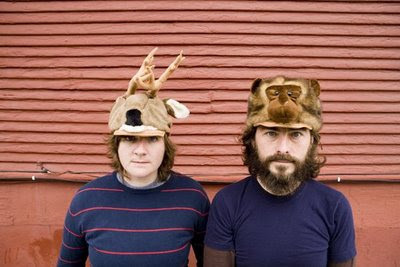 If you are in the SF area, you can catch them Feb 25th at Noise Pop along side The Mountain Goats. 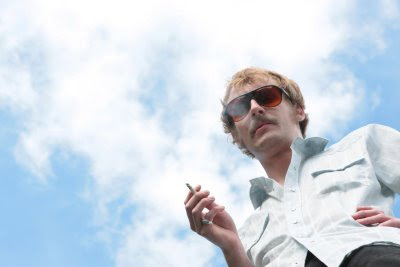 Also, Deer Tick launched their 2009 spring tour on Friday the 13th of February at NY's Bowery Ballroom. Check the rest of the tour dates and see if they are coming to a town near you! 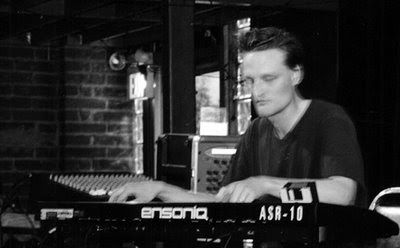 Mon-Feb-23 York, PA First Capital Dispensing Co.
For more than a decade, Labradford’s Mark Nelson has been gently delighting us with his phenomenal solo project Pan American. White Bird Release is the latest in a long stream of sonically rich, hauntingly beautiful, minimalist offerings. Sombre. Thought provoking. Intelligent. The songs on this album twist in and out of your consciousness allowing you to absorb every nuance and subtlety of the arrangements while allowing you to forget your miserable existence for the duration. 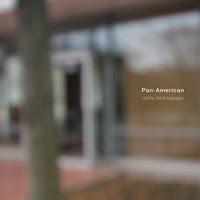 Pan American is the perfect break from a hectic day. Release date: Feb 23, 2009.